We have incorporated the use of some of the latest, and I feel the best of new technology, into our practice. 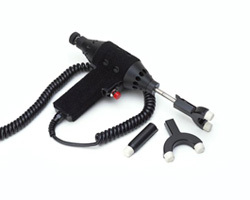 The Erchonia Adjustor is a tool that adjusts in a very gentle way by pulsing at up to 12 cycles per second. 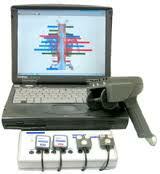 It has been shown that the nerves to muscles, ligaments and tendons are extremely responsive to this frequency. This helps to restore normal function and movement, when there has been an injury or chronic motion problem. We utilize the Insight Millenium surface EMG and thermography as part of our evaluation of the spine and nerve function of the body. This information, along with a thorough examination and health history, help us determine how to best serve you.